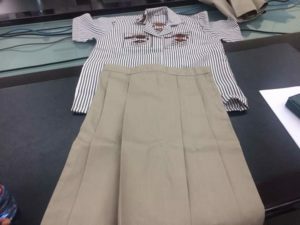 According to the GES, students will start wearing the new school uniform from next academic year, 2019 – 2020. “The minister through consultations, presented a memo to cabinet which was duly accepted for us to change the junior high school uniform,” he said. The move forms part of the new reforms in the educational sector announced by President Nana Akufo-Addo during his State of the Nation’s address in February this year. This reform will among other things see the implementation of new curricula from next academic year in September. Prof. Amankwa said the wearing of the new uniform will start from next academic year which begins from September. The old uniform, he indicated, will be phased out with time but did not give a deadline to it.